Punctual, friendly, and detail-oriented team player with over 30 years of experience. 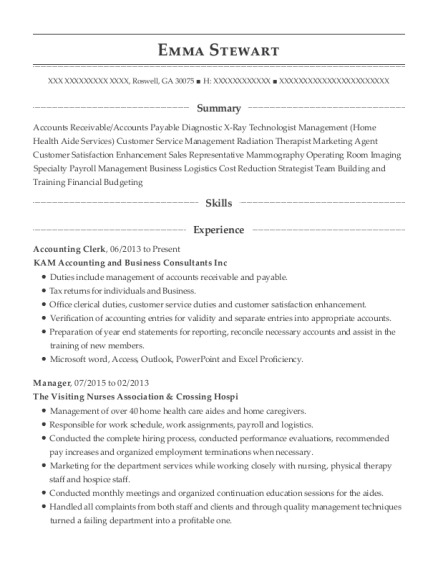 Managerial, supervisory, customer service, and cash handling experience. Make, change, and cancel reservations. Check guests into and out of their rooms. Finalize credit cards and turn the audit. Maintain safe and three cash drawers. Stock store with souvenirs and groceries. Work with FOSSE, MICROS, LodgeNet, and a PC to complete the hotel audit. Check guests into and out of hotel. Ring guests' purchases from hotel market. Ring guests' purchases of gas, souvenirs, and groceries. Stock shelves, bag ice, and maintain beverage machines. Assist guests with store merchandise—and their way around Death Valley National Park. Please see above Courtyard by Marriott Night Auditor listing for 2010-2011. 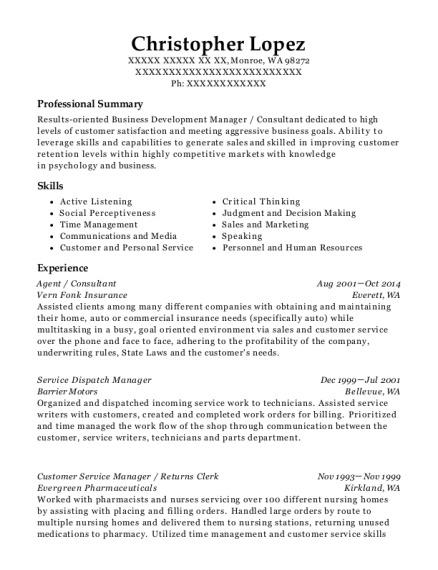 This is a resume for a Night Front Desk Agent in PELHAM, New York with experience working for such companies as Comfort Inn and Death Valley Lodging Company. 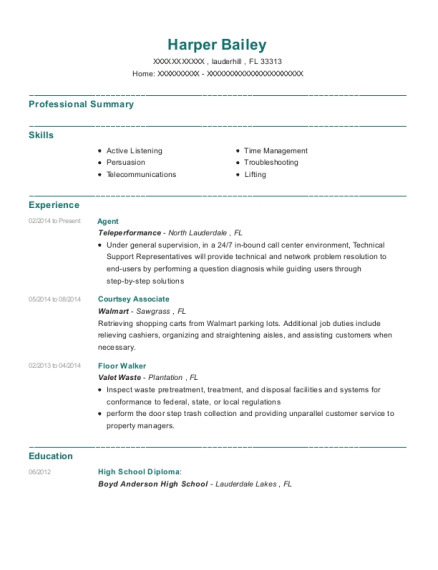 The grade for this resume is 0 and is one of hundreds of Night Front Desk Agent resumes available on our site for free. 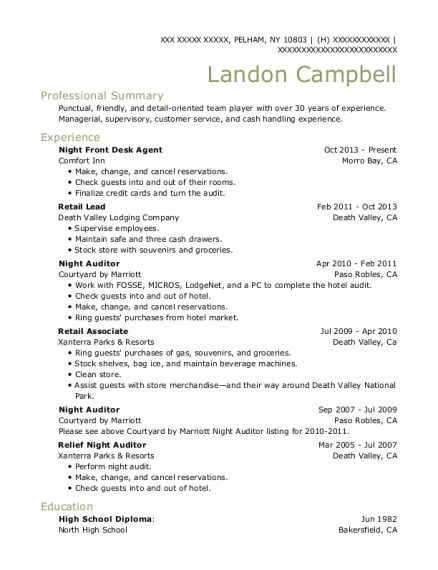 Use these resumes as templates to get help creating the best Night Front Desk Agent resume.